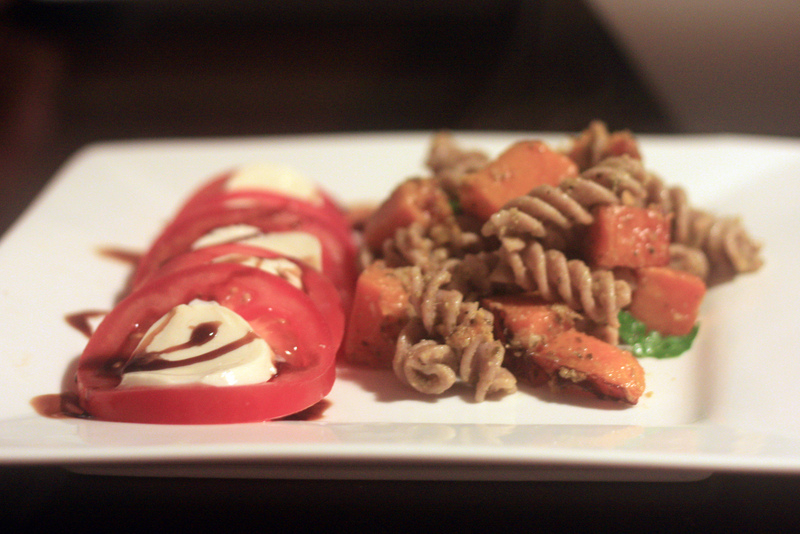 What always inspires me about good italian pasta dishes and salads is the simplicity. There is an ethos there based on great quality ingredients and tasting the flavours of fresh food that I really adore. This dish is vegetarian and packed with flavour. You could add bacon to the pasta for that extra salty zing but it didn’t need it. Also my apologies but my camera has been behaving a bit strangely so excuse the blur on a couple of the coming posts. Pumpkin, pinenut, parsley, pesto and parmesan spelt pasta (now that’s a mouthful) served with vine ripened tomato and bocconcini salad drizzled with balsamic glaze. 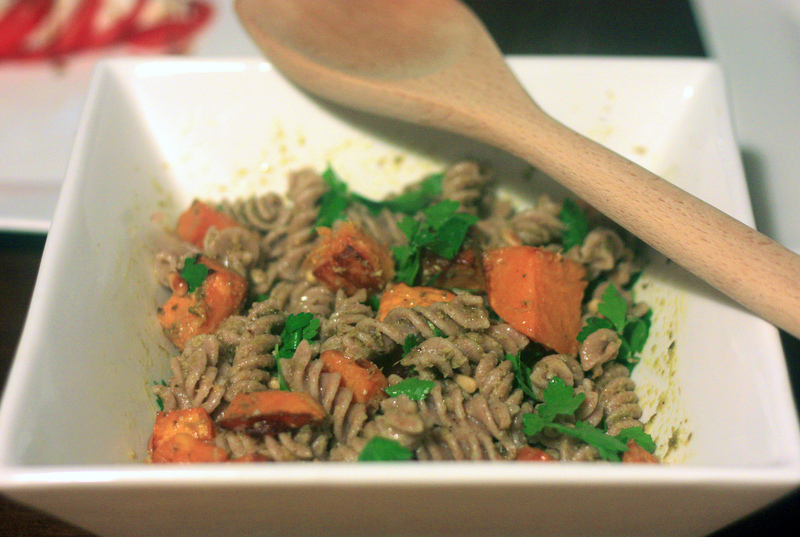 I sourced some great organic spelt pasta from Go Vita on King Street. I managed to get spirals and linguini so watch out for the linguini coming up. Roast pumpkin for about 20 minutes in an oven heated to about 200ºC. Set aside. Boil spiral pasta until al dante. Drizzle with good quality olive oil, stir in 1/2 cup of parmesan, medium handful of chopped parsley, 3 tablespoons of basil pesto, pumpkin and toasted pine nuts. I toast my pine nuts in a dry frypan on medium heat. Assemble sliced tomato and bocconcini and serve.